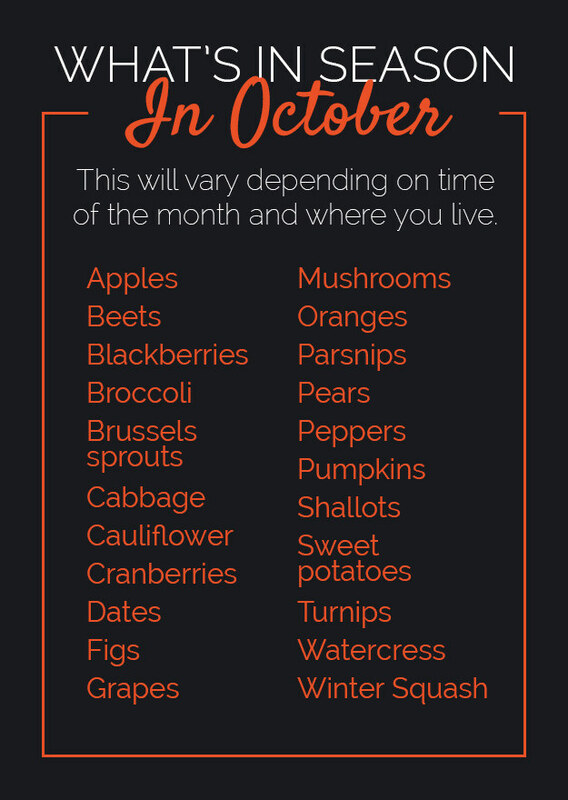 You are in Home > Blog > Food & Drinks > What's In Season in October? Autumn is harvest season and that means there is plenty of fresh produce to choose from right now. From hearty pumpkin, parsnips and winter squashes to apples, pears, figs and dates, you'll have lots of fun cooking this month. There are many ways to prepare everyone's favorite autumn veggie. From velvety pureed soups to casseroles, pies and cookies – there never seems to be a lack of creativity for cooking pumpkin. Not to mention, who doesn't love caramel apples? Naturally sweet and bursting with antioxidants, sweet potatoes are a treat to eat. An effortless way to prepare is to roast them in the oven and serve with a pat of butter or a sprinkle of cinnamon. Or use them to make gnocchi, a stuffing for ravioli and the base for decadent desserts. We look forward to fig season so we can simply devour them fresh. You should too. But if you have any leftover run them under the broiler or toss them into salads. Red cabbage, Napa cabbage, white cabbage ... they are all in season in October. Excellent for stuffing with cheese or meat, shredding into salads and eggrolls, tossing into soups and making a killer stir–fry. Take advantage of cauliflower this season by whipping up comforting casseroles, spicy sautés, pizza crusts and much more. The delicate flavour of pears is irresistible. Have fun cooking pears by poaching them, or putting them into soups and succulent risottos, or creating beautiful desserts.